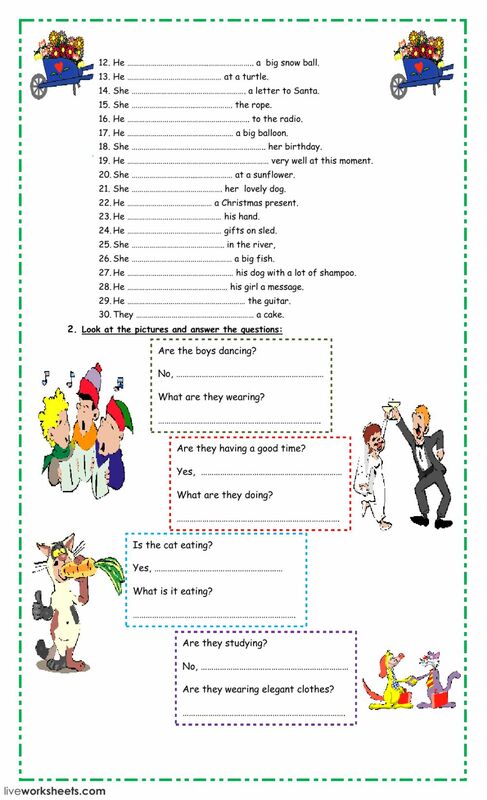 Live worksheets > English > English as a Second Language (ESL) > Present continuous > Let's practice present continuous!! Students look at the pictures and complete the sentences. 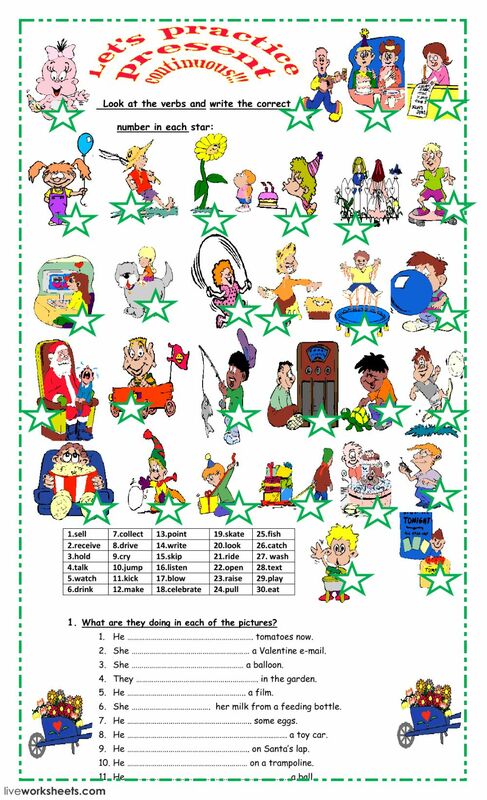 Write the correct numbers to the pictures and finally answer some questions.Hope you like this worksheet!! Copyright 3/12/2018 Maria Patricia Amaya. Publication or redistribution of any part of this document is forbidden without authorization of the copyright owner.